PrivyDoll found a great jewelry designer, Rachel Olesker who happens to be a Chicago native! The lines are classic, but interesting, modern but reminiscent. 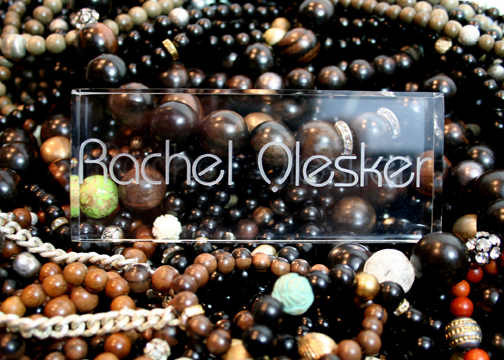 The line can be found on Rachel's site, www.rachelolesker.com, which I invite you all to check out. The collection includes leather, chains and stones. Privy doll caught up with Rachel to learn more about the line! I included two of my favorite pieces that are PrivyDoll Approved!! PrivyDoll: What three words would you use to describe your line? PrivyDoll: In your opinion, what is next season's biggest trend? RO:I think this year people are going to be back to the basics. I think people are going to be buying more neutral, classic pieces that will wear longer. PrivyDoll: What is your inspiration for your brand/line entirely? RO: Since all of my pieces are one of a kind, the inspiration for my line is always evolving. I get inspired by what I see when I travel or go antiquing. I never know what I am going to find but when I see it, I know it... and then again sometimes I don't. When I buy a vintage piece, I know it is "cool" and I love it but I am not always sure how I am going to use it. Often, I take home a piece and let it sit for a while before I know exactly how I am going to incorporate into a piece. That is what makes my work so much fun and exciting. It is the hunt for a great piece, and then the challenge to use it and create a piece that is unique and wearable today. PrivyDoll:What are your favorite materials to us? RO: My favorite materials to use right now is vintage chains. There is such an amazing variety and no two are the exact same. 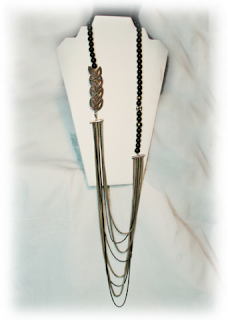 The chains are so much fun to wear alone, layered with another chain or combined with another vintage find. PrivyDoll: What is your favorite place to brainstorm? RO: Since I am a mom of two young boys, my favorite place for brainstorming is in the car driving carpool. PrivyDoll: What designer inspires you the most? RO: The clothing designer that motivates me the most is Francisco Costa for Calvin Klein because his line is elegantly tailored, simple with a twist. 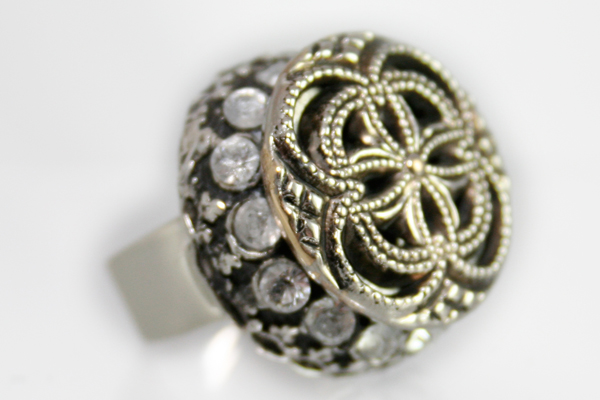 Perfect for my jewelry! PrivyDoll: What advice would you give fashionistas when they are trying to pick out jewelry for their favorite Little Black Dress? 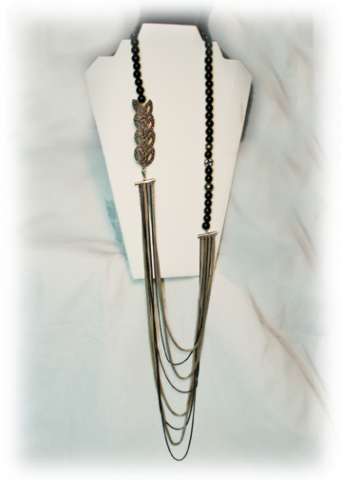 RO: My advice to fashionistas when trying to pair jewelry with their favorite little black dress is MORE is MORE!!! My rule when leaving the house is not to take off one piece of jewelry but to put on three! PrivyDoll:What kind of Press has your line received? RO:My jewelry has gotten press on vogue online and Janell Snowden, a host for VH1 has worn some of my pieces to events. PrivyDoll:If you could dress any celebrity right now who would it be?